These intravenous solutions are indicated for use in adults and pediatric patients as sources of electrolytes and water for hydration. 0.9% Sodium Chloride infusion is indicated for extracellular fluid replacement, treatment of metabolic alkalosis in the presence of fluid loss, and mild sodium depletion. 0.9% Sodium Chloride infusion is also indicated for use as a priming solution in hemodialysis procedures, and may be used to initiate and terminate blood transfusions without hemolyzing red blood cells. Sodium Chloride Infusions are also indicated as pharmaceutic aids and diluents for the infusion of compatible drug additives. The concentration and dosage of Sodium Chloride solution for intravenous use is determined by several factors including age, weight and clinical condition of the patient. Usually the adult dose is about 1000 ml of 0.9% infusion. 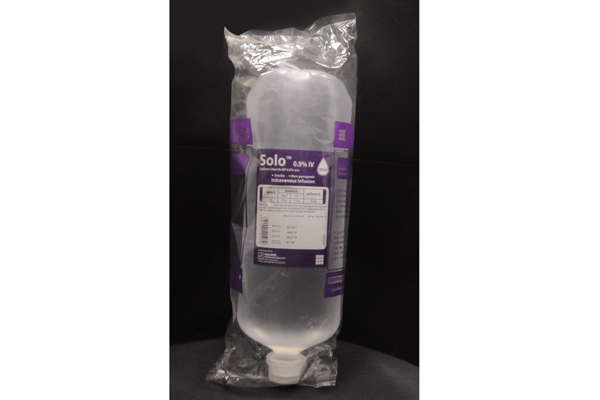 Solo™ 0.9% IV Infusion, 500 ml: Each 500 ml PP bottle contains solution of Sodium Chloride 0.9% BP w/v. 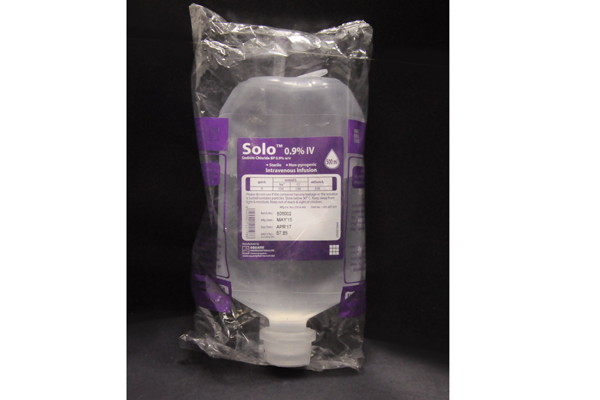 Solo™ 0.9% IV Infusion, 1000 ml: Each 1000 ml PP bottle contains solution of Sodium Chloride 0.9% BP w/v.